Do you want to work with people from diverse backgrounds? Trying to increase diversity in your tech company or open source community can seem like a daunting task. 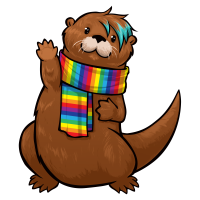 Otter Tech has over 10 years experience in open source software development and 4 years experience running open source diversity internships. We can help you create a plan for making your workspace more inclusive, and attracting diverse contributors. Join our mailing list today! Contact us today, or sign up for our Diversity Deep Dives mailing list. Many companies and technical community members want to foster a diverse community of contributors, but don’t know how to start. Otter Tech provides expert advice on how to reach out to people traditionally underrepresented in tech, and build an inclusive culture where they can thrive. Study after study has shown the benefits of having a diverse work force. Creating an inclusive and safe work environment increases worker productivity, while studies have shown toxic team members have a larger negative impact on company profits than the positive impacts of hiring “rock star” developers. While Otter Tech is very enthusiastic about helping communities improve diversity and inclusion practices, this work is often emotionally draining and impacts our ability to take on additional consulting work. Therefore, we hope you’ll understand that Otter Tech does not offer unpaid consulting services. If you’re from a small community or company without funding for diversity consulting, please consider looking at the geek feminism wiki code of conduct evaluations page and Safety First PDX’s code of conduct website, and watching Audrey Eschright’s “effective incident response” talk. Otter Tech's Diversity Deep Dives mailing list provides insight into the tough topics around diversity and inclusion in tech. Join our mailing list today!